5 reels, 3 rows, an RTP of 96.10%, and ten paylines. This is slot gaming at its purest and most simple; and possibly also at its best looking. This low volatility video slot has free spins and other bonus features which make up for the limited number of paylines, and is themed around collecting precious jewels. You can play it here on the UK Slot Games website which features over 600 slot games, including ‘Bonanza’, ‘Rainbow Riches’, ‘Fluffy Favourites’ and ‘Wolf Gold’. This isn’t a game that will take you time to investigate or learn; if you’ve played a simple online slot before, then you’ll have played something similar to Starburst. What really sets it apart, though, is the stunning visuals which were designed for the HD era of slot games. Accompanied by a slightly-hypnotic backing track, you’re on the hunt to match symbols and find one of the ten winning paylines. That might sound like a meager amount compared to some of the other big names on the market, but that’s only because we haven’t yet talked about the symbols or the bonus features. Play the bonus features the right way, combine that with the comparatively limited number of symbols, and the number of paylines becomes so unimportant that it barely matters at all. Net Entertainment are one of the leading names when it comes to putting modern twists on tried-and-tested slot gaming standards, and they don’t disappoint here. ‘Starburst Slot’ is still one of the most popular games anywhere on the internet, and there are several good reasons why it has such a devoted fan base. In what might come as a disappointment to some lovers of British candy, ‘Starburst’ is not a tie-in to a well-known item of confectionery (although wouldn’t it be great if it was?). Instead, it’s a great looking game that’s fun to play and, with the right level of luck and skill involved, simple to take money out of. In terms of what you get on the screen, there’s a deep purple background which may or may not be deep space; which of course would explain the name if it was. It’s a nice neutral shade which means all the focus is on the ‘stars’ of the show, pun intended. These are big, chunky, sparkling jewels in a range of colours, accompanied by our old friends the number seven, and ‘BAR’. Even though there’s a slightly space-age feel to the game, the presence of those old fashioned symbols lends to the more traditional and uncomplicated atmosphere of the game. It blends the old and the new together exceptionally well. You’ll be wanting to keep your eyes out for the ‘Starburst’ symbol itself; that’s the wild. There are drastically fewer symbols in this game than in most modern day online slots. Because there are fewer symbols, they occur more often in an order which will win you prizes. As such, the ten paylines suddenly become generous, and there’s no real need for big bonus features. There are some here, all the same. 1. Block Bonuses: Block Bonuses mean that you’re not just looking for lines or rows when you play the Starburst Slot. You could, for example, arrange nine in the shape of a triangle starting from the top, the bottom or the side, and that arrangement will pay out money. Prizes can also be won from right to left or left to right. That’s more flexibility than you get from most slots. 2. Wild: Starburst Wild happens when the Starburst symbol itself appears to bless your reels. It will announce its presence on the second, third or fourth reel, and the great news is that its an expanding wild which covers every symbol on the reel, as well as granting you a free spin. For you, it means you get the benefits of having the wild on the first spin, and then for a second time on the free spin because it freezes in place. The marketplace for slot game creators is a crowded one, and all of the leading companies have a distinctiveness that makes them unique. That makes it very hard to objectively say that one or the other is the definitive biggest or best in the world. The fans of games made by Net Ent; who made Starburst Slots; strongly believe that there’s nobody better. With so many great slot games out there we don’t want to go as far as saying that they’re the number one brand, but they’re definitely in the argument. They’re certainly one of the most prolific. At the last count, there are over two hundred slot games out on the market that were put together by Net Ent, and they include some of the most loved and most played titles of all time. Their portfolio includes the official Guns n Roses slot game, the official Jimi Hendrix slot game, Magic Portal, Dazzle Me, Red Riding Hood and many, many more. As their impressively slick website will tell you, Net Ent have been in the business for more than twenty years, and consider themselves to be more of a ‘digital entertainment’ company than an outright slot game producer, although they do acknowledge that they provide ‘premium gaming solutions to the world’s most successful online casino operators’. That description applies to UK Slot Games, and we’re proud to have their games on our website. Aesthetics are clearly very important to Net Ent; everything from their corporate branding through to their games is a visual masterpiece. “This renowned video slot is an absolute star. You’ve heard of it. You know it. You’ve probably played it. And if not, you should. The sparkling jewels of the legendary Starburst™ are there for the taking. This 5-reel, 3-row video slot has several exciting features including Win Both Ways and the expanding Starburst™ Wild. If you enjoy high-paced energizing slots, Starburst™ offers many fun features that make playing the game an unforgettable experience. And of course, the potential for huge wins is astronomical! Win anticipation is cranked up to maximum. Arcade-like light effects follow wins, and the Big Win presentation is truly a sight to behold: blasts of light, flashing text, electrifying sounds – it’s a rush like no other. There’s a lot of confidence in that description; they know they’re good, they know their game is good, and they know exactly how popular it is, too. As big fans of the game ourselves, we’re happy to say that their confidence is well-justified. Quite surprisingly, given that the original game was released all the way back in 2012, there has never been a sequel to the Starburst Slot. There have been games inspired by it; released by both Net Ent and others but never a direct continuation of Starburst itself. Perhaps Net Ent decided there was no reason to play with perfection, and decided to focus their efforts elsewhere instead. There is however a pair of indirect ‘sort of’ sequels to Starburst, and those are the Berryburst games. Looking at the graphics of the games, you can see that the ‘burst’ of the logo is taken straight from Starburst, and the principles behind the game are the same, so we’ll classify them as rough sequels. This was the first of the two to be released. The volatility is somewhere between low and medium, the RTP is 96.56%, and aside from that it’s essentially a remake of Starburst, using juicy fruit as the symbols instead of precious stones. The fruit on the reels looks good enough to actually make you thirsty, and much like Starburst there’s a hypnotic backing track to accompany you as you play. Everything about the game should look and sound familiar if you’ve played Starburst; five reels, three rows, expanding wilds and a re-spin bonus that comes with them. We suspect that this is an excellent game to play in the summer, but in terms of what it offers the player, there isn’t a huge difference between this and Starburst. This sounds like the sort of name you’d give a new fruit drink product, and we suspect that’s deliberate. This feels more like a ‘jackpot’ title, and it’s a different kind of beast to both Starburst and Berryburst. RTP sits at 96.23%, and volatility is high. All the fruit have been suspended in liquid, and the wild symbol is an ice cube, which adds to the ‘drink’ theme, and interestingly there are no traditional paylines at all. Instead, prizes can be won by clumping fruit together in groups of at least five to trigger a win. The wild still expands and triggers re-spins, and repeat if more wilds appear during the re-spin. Wilds are not rare in this game, and so this mode can continue for a long time. The maximum jackpot offered by the game is 10,000 times the original stake. No great game comes without imitations, and Starburst is no exception. There’s an unwritten rule of online slots which says that when one company has made a successful game, other companies will try to work out why players love it so much, and they try to replicate it as best as they can for their own audience. Interestingly, the most similar game to Starburst; so similar that you could call it a copy; is actually another game made by Net Ent themselves. At first glance, this is just Starburst with a differently coloured background, but that’s only until you notice that the rows have different sizes. With more space for symbols come more combinations and therefore more paylines; Dazzle Me has seventy, with an RTP of 96.9%. There are even fewer symbols here than there are in Starburst; a mere six; four gems along with number seven and a bell. Free spins are available if enough scatters are collected. It’s a more complex and involved game than Starburst, offering the same visual style and theme, but a slightly more complex and involving game behind it. Diamond Strike isn’t precisely like Starburst in that you’re not chasing a series of precious stones; just one in particular. Finding the diamond is the key to success in this game from Pragmatic Play, which also makes use of the large, bold graphical style of Starburst. Along with that, it also has the traditional five reels and three rows, and a generous RTP of 96.48. There are fifteen winning lines, which at first glance is more than Starburst, but bear in mind that there are also more symbols, which makes finding those winning lines less likely. An interesting bonus round enables you to built up coins, which you can then bet on the contents of a jewelry box. You’ll have to find four jewelry boxes before you can start that process, though. This is as simple and fun to play as Starburst, but not quite as good looking. Iron Dog Studios are a new company in the online slot game, having been founded in 2017. A new company needs guaranteed hits, and fast, and that might explain why they’ve borrowed heavily from Starburst in order to design Cosmic Crystals. They’ve seen what works, and borrowed its style. Even the purple background and the backing music may seem a little familiar. On top of that, they’ve tried to be as generous as they can with the chances to win, without bankrupting themselves in the process! There are fifty paylines in this jewel-themed slot game, and each individual symbol and jewel has its own value. Some are much more lucrative than others. Also, if you don’t find a winning line, the game offers you a free spin. It does feel like a carbon copy of Starburst, but it is at least a copy that tries to help you win. Red Tiger Gaming, who were founded in 2014, had almost certainly also played and learned from Starburst before they launched ‘Gems Gone Wild’; this is another very close visual match to the Starburst game, with the same number of reels and rows, and comparable sounds. 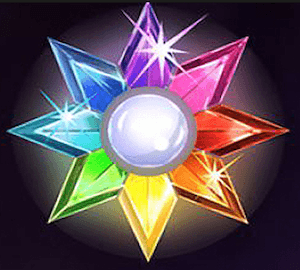 The wild symbol in Gems Gone Wild is more generous than you may have seen in other games; just one of them alone is enough to turn any combination of two or more alike gems into a winning line. It isn’t an expanding wild, though, and therefore it isn’t quite as helpful as the starburst that appears in Starburst itself. It’s also not quite as good looking as Starburst, but then almost nothing is! Net Ent don’t leave anything to chance when they consider their potential mobile players. Even with the best optimisation, writing code with the intention of making your game appear smoothly and without an issue on a smartphone is a lottery. There are differences between Android and iOS, and of course various devices have various different display sizes and capabilities. Therefore, Net Ent take a different route to making sure things work. Go to play Starburst on a smartphone or a tablet, and you’ll automatically be taken to a specially adapted version called Starburst touch. This essentially boils the game down to two on-screen buttons; one to spin the reels again, and another to access the menu and make any other adjustments you might wish to make. Nothing could be simpler or easier, and for that reason it’s among the easiest slot games you could ever hope to play on your phone. If we had to make a criticism, it’s the fact that there doesn’t seem to be a way to insist that the ‘normal’ version of Starburst loads instead, even if you have a completely capable device. The adapted ‘touch’ version has all the same sounds, and of course all the same great features, but it doesn’t look quite as sharp. People who have phones capable of HD display may want to play the HD game, as it’s intended to appear. Such is the profile of Starburst that it’s even made its way to the casino section of a national newspaper in the UK. The Sun is one of the UK’s largest daily newspapers, and recently ran a feature describing the greatness of the game, and announcing that it’s been made part of their ‘Sun Vegas’ casino offering. The wording of the text makes it sound a little like they invented the game themselves, which seems a little disingenuous; Net Ent don’t even get a mention! It should be noted that the Sun are a newspaper who offer links to casino games, rather than being a specialist online slot website in their own right. In another accolade for the Starburst game, Rose Slots recently named it as one of their top four slot games for 2018. For a game that’s been out for several years, that’s no small achievement. It seems like no matter who releases what, and how popular those new titles are, there will always be a place in people’s hearts for Starburst. That just proves that simplicity done well becomes excellence. Why Is UK Slot Games The Best Place To Play Starburst? If you’ve read this review, and you’re currently thinking that Starburst sounds like a very fun game to play, then we’ve done our job properly. It’s an exciting playing experience, and we wanted to pass that excitement on to you. If you’re interested in playing it, we’d love you to stick around and play it right here at ukslotgames.com; and we’ve got some great reasons why you should! For a start, anyone who joins UK Slot Games doesn’t just get access to Starburst, great as it may be. We host over six hundred of the very best online slots currently available, and if you sign up today, you can browse through them all without paying a penny as a deposit. With us, you only pay when you want to play; and when you do pay, you do it through Paypal, giving you security and peace of mind. Just signing up can bring you a prize before you’ve even spun a reel; up to 500 free spins are on offer to all new customers! When you’ve used those up and it’s time to put your own money in, we’ll back every £20 you deposit with even more free spins. As if that wasn’t enough, our customers can also receive daily cash-back prizes of up to 10%. We’re serious about being the largest and best online slot site anywhere on the internet, and that means we have to take better care of our customers than anybody else does. For you, that means we’re always striving for better ways to keep you happy and making sure you stay. Sometimes we offer Amazon vouchers. Sometimes we offer free pizza. We have regular ‘Happy Hours’ for regular players, too. Our mission is to offer you a high quality gaming experience with great incentives and no worries. That’s why we’re best for Starburst. In fact, that’s why we’re best for whichever of our games you want to play!